When I first started blogging, one of the main things I wanted to do was post pictures of my designs in progress. I wanted to show them in the beginning stages, or about half way finished, and then later on show the finished design when it was available to be purchased. But every time I posted a picture of a design that was not finished, I would get emails from people asking "where can I buy this pattern" or even worse "will you share the pattern" (the most dreaded phrase among professional designers!) So I have not been posting WIP (works in progress) pictures lately. I try to make it clear that these designs are not finished, and will be available for purchase on my site in the near future, but I am afraid I am just causing confusion. So, what do you think? Should I post pictures of my designs that are not finished yet? Sometimes people are curious to know if people are going to publish their finished work and if it will be available to purchase. While you may find it annoying in a way it is a compliment. If people were not interested in your work they would not want to know if you were going to publish it. I know even when I post where I purchased the pattern I get questions. I just accept some people don't read what I write. I do post to remind people I will not violate copywrites. Then I continue posting in a manner I enjoy reading on other blogs. If they don't like it they will find other blogs to read. If you want to eliminate some of these comments you can choose to add whether the patterns will eventually be made available for sale of if this is a personal project that will not be published. Thank you for your input, Bailey! 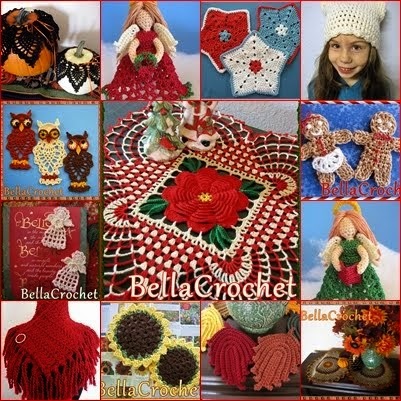 I very rarely make anything that I don't plan to publish, but I do post pictures of vintage crochet and other's work from time to time. I will try to be very clear on what will be and what will not be published. I have a bride and groom doily about half way finished; I think I might post a picture later in the week. I enjoy seeing your work in progress, I do hope you will continue to post the pictures. I agree with everything that Bailey has said. Keep up the great work, Ann! I find on my blog that people do not read the whole entry...They see pictures and get excited and do not finish reading. I question my blogging all the time because of similar situations sometimes its just not worth the aggravation.. Thank you, Neicee! I think I will make the title of the post "Coming soon" or something like that. I really do love posting my WIP's! I think it's valuable for people to see the pattern in progress. Titling it something like "coming soon" might help eliminate some of those annoying comments from people who aren't paying attention to the details of the post while still allowing your readers to enjoy the patterns that you post when they are in-the-works. Ultimately, though, it's all about what you feel most comfortable and happy with! I enjoy your blog, and the work in progress. Keeps me coming back. By the way I love the patterns I bought..going to post some on my blog in the near future. I agree, Kathryn, I think blogging should make the blogger as well as the readers happy. And I want to share my WIPs so I guess I have my answer! Thank you, Vikki, I can't wait to see the pictures! 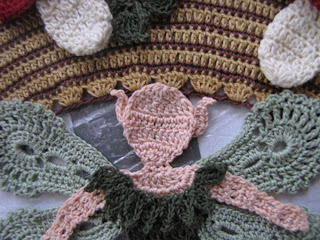 I love your blog any way you present your work... fairies in progress are divine... finished fairies are just as divine! Thanks for sharing!